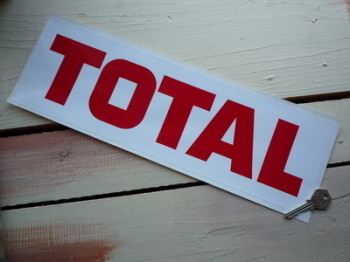 Total - I Say Ding Dong Shop - Buy Stickers, Decals & Unique Automobilia. 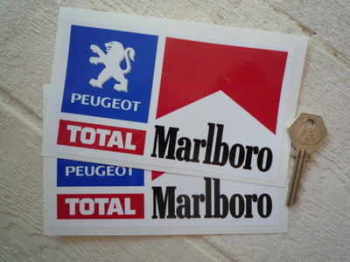 Peugeot, Total & Marlboro Rally Stickers. 6" Pair. 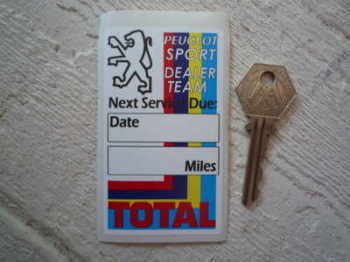 Total 1955 - 1963 Logo Sticker. 7". Total 1960's Blue Square Style Stickers. 6" Pair. Total 1970's Style Ovoid Stickers. 4" or 6" Pair. Total 63 On Ovoid Sticker. 10". Total 63 On Ovoid Stickers. 4" or 6" Pair. Total Excellium Long Way Round Sticker. 5.5". 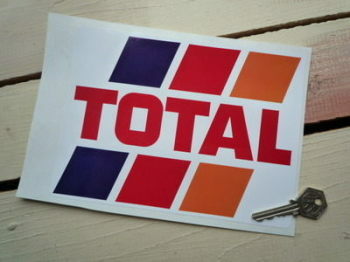 Total Fuel Stripes Sticker. 8". 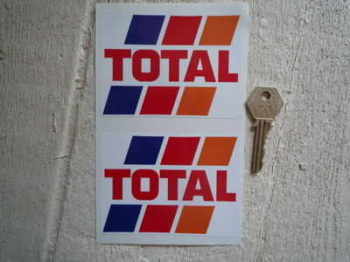 Total Fuel Stripes Stickers. 4" Pair. Total GTS 20W/50 Oil Service Sticker. 2.5". Total Red Text on White Sticker. 12.5" or 16".